Goldman Sachs analysts are upbeat on commodities heading into the new year, and see value in diversifying with gold. 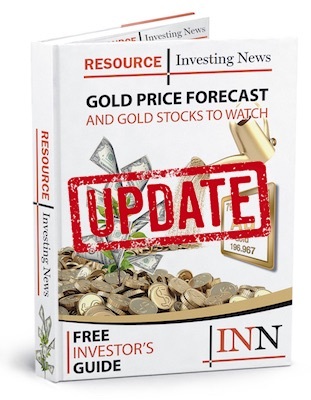 Goldman Sachs (NYSE:GS) predicts that in 2019 growth in the economy will begin to wane and investors will look to diversify their portfolios, leading to a shift in focus to gold and a landscape in which the price of the yellow metal could climb. In Goldman’s report published on Monday (November 26), the investment bank’s analysts were upbeat on commodities, stating that they saw a long, or bullish, trade in gold. “We see diversification value in adding gold to portfolios. If US growth slows down next year, as expected, gold would benefit from higher demand for defensive assets,” Goldman said. “At this stage of the business cycle, gold may be particularly appealing as a portfolio diversifier given that long-term bonds, traditional safe-haven assets, may be hurt if US inflation surprises to the upside,” it added. Goldman also notes that the gold market remains underpinned by central-bank demand for the metal and recognized that some central banks have been moved to purchase gold for the first time since 2012. The bank remains unfazed by the trend of sell-offs in the market and states that the current environment that the commodities find themselves in is unsustainable. The investment bank believes that the US dollar’s strong rally in 2018 will begin to decline allowing gold to rebound. “Given the size of dislocations in commodity pricing relative to fundamentals — with oil now having joined metals in pricing below cost support — we believe commodities offer an extremely attractive entry point for longs in oil, gold and base,” analysts including Jeffrey Currie said in a report. Additionally, Goldman revealed that commodities could surge close to 17 percent over the coming months, citing that the upcoming G-20 summit could act as a potential launchpad for raw materials. Raw materials have taken several hits just this month alone. Crude sank thanks to speculation that there’s too much supply, metals dipped on a combination of speculation that growth is slowing and investors concerns about the outlook for the trade war between the US and China. Goldman predicts that when leaders from the G-20 gather in Argentina this week, many of the issues that have weighed on the commodities will be addressed. “Many of the political uncertainties weighing on commodity markets have a significant chance of being addressed in Buenos Aires,” Goldman said. In addition to the yellow metal, Goldman stated that is long in palladium versus platinum. Palladium has been in a supply deficit since the end of the Russian stockpile sales in 2012-13, while platinum sits at a surplus due to falling share of platinum-intensive diesel cars that use the metal and weaker jewelry demand from China. “These diverging market balances meant that implied private inventories of palladium fell substantially while platinum’s increased, which in its turn drove outperformance of palladium relative to platinum,” Goldman noted. “In our view, for this dynamic to reverse, we need to see evidence of substantial substitution of palladium for platinum in auto catalytic converters. We think that in the short run this is unlikely to happen as palladium performs better under new extreme conditions emission tests and it will take several years to develop, test and adopt a more platinum heavy catalyst,” it added.